Sukiyaki Number One is efficiently managed by MBK Restaurants Group. In the past, Sukiyaki Number One was originally established for more than 50 years ago which obliviously can be claimed to be the original Taechew Sukiyaki in Thailand. According to the time and trend, Sukiyaki Number One has slightly improved in order to respond needs of consumer. Sukiyaki Number One has elaborately adjusted terms of food and decoration. In term of food, taste and appearance will be more contemporary and attractive; and atmosphere will nicely decorate as Chinese Retro style. Our signatures are Number One Chicken, Pork, and Beef which are marinated by the legendary sauce (Taechew Style). 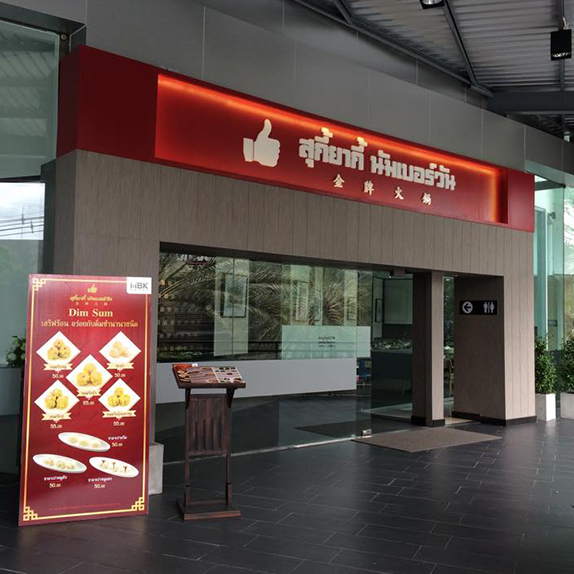 Nowadays, Sukiyaki Number One already launched 4 branched; including The Nine Rama9 Center, Glas Haus Ratchada, MBK Center, and AC Plaza Sai Mai.